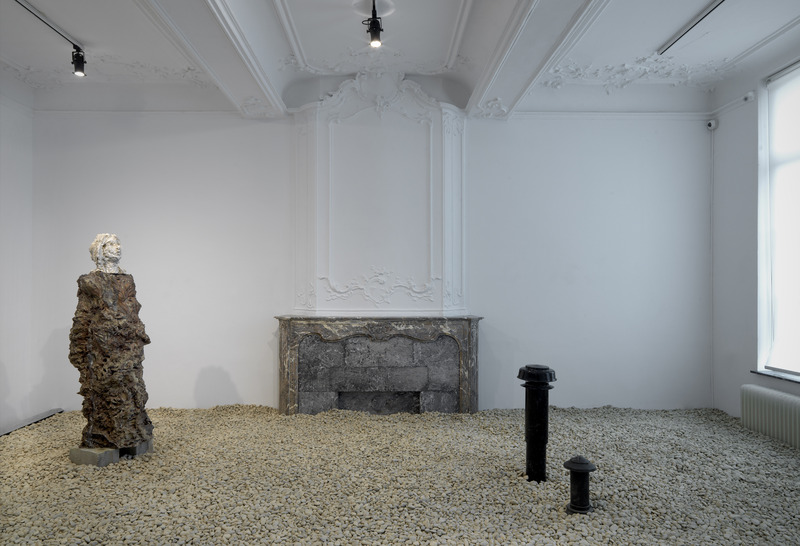 For the theatrical exhibition The Floor is Lava, artist duo Sander Breure and Witte van Hulzen will populate Marres with sculptures and molded portraits of people in everyday environments. 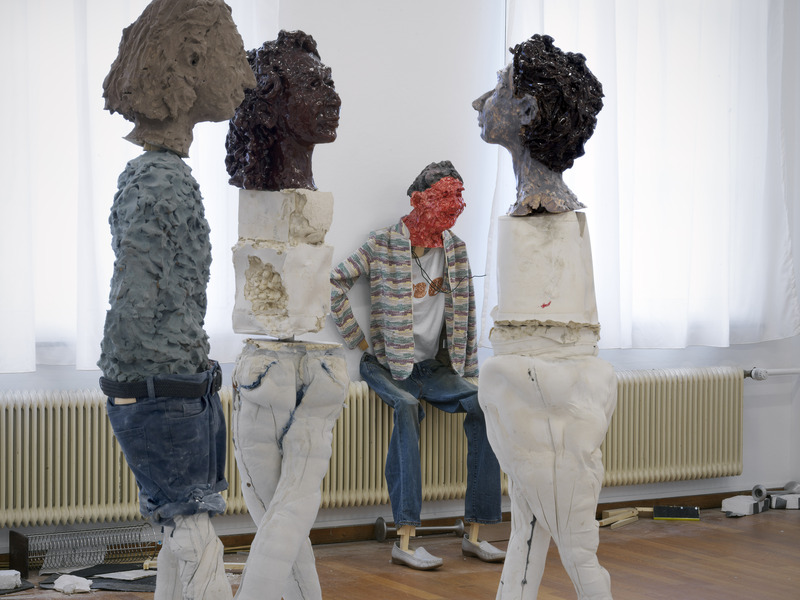 Made from different materials, clay, cloth, wood, the figures have expressive faces, but are otherwise sketchily composed with stick legs, half torso’s and loosely hanging pieces of cloth.The faces seem mask-like, unrelated to the bodies that support them. They lean against a wall, sit on makeshift chairs, queue at a ticket office, or wait on a platform for a train to arrive at the station.They are actors in search of a play, as much as they are compositions of identity, that fictional moment of stasis in a world that is constantly on the move. The premise here is that people always play a role, different in every situation, with specific character traits and body language. The title derives from a children’s game in which on command the players immediately have to get their feet off the floor and freeze in a certain position, as if they have been turned into statues.The liquid floor in the game suggests the added meaning of a world that is beyond our control, of shared values that are dissipating, and a future that has become uncertain. 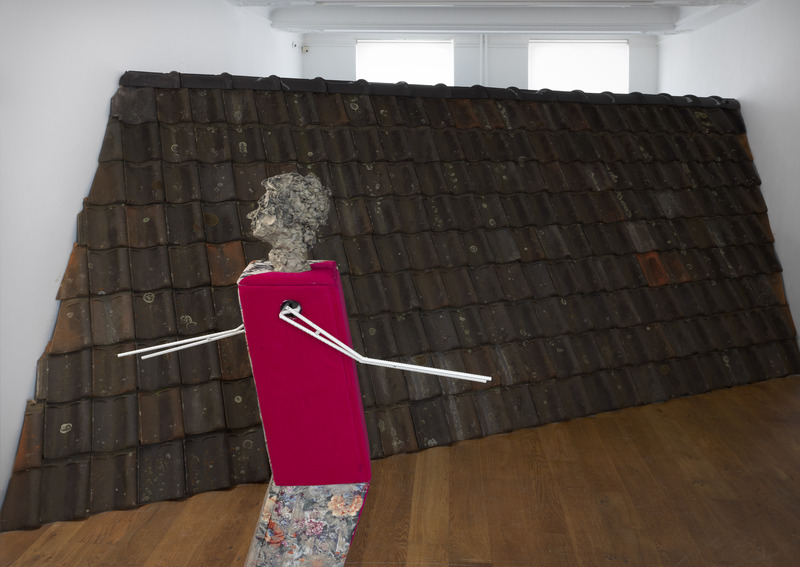 The figures inhabit the stage that is left when all that is solid has melted into air.